Cranbrook, BC, Canada is located in the Columbia Valley surrounded by waterways and mountains, most notably, the the Purcell Mountains to the west, the Rocky Mountains to the east and Mount Fisher located just outside of town. The community rests on the banks of the Kootenay River near its confluence with the St. Mary's River. We are excited to be here in Cranbrook BC! 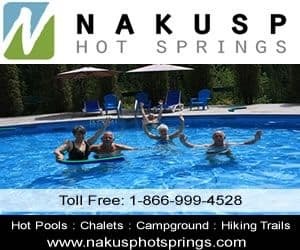 Activities most enjoyed in Cranbrook and the surrounding areas include hiking, backpacking, camping, mountain biking, birdwatching, golfing, wind surfing, rafting, wildlife viewing, cycling, fishing, boating, water skiing, river & lake kayaking, horseback riding, SUP, picnicking, canoeing, off roading, houseboating and xc skiing, snowmobiling, . A few of the more popular activity and sightseeing park and trail destinations located in Cranbrook, British Columbia and the surrounding areas includes the Wasa Lake Provincial Park, North Star Lake, Idlewild Park, Moyie Lake Provincial Park, Elizabeth Lake Sanctuary, Koocanusa Lake, Community Forest, Tie Lake, Wapiti Lake, Horseshoe Lake, Isador Canyon Trail, Jimsmith Lake Provincial Park, Dewar Creek Hot Springs, Lakit Lake, and the Norbury Lake Provincial Park. Some of the most visited sightseeing attractions, art galleries, historical sites and cultural venues in and around Cranbrook, British Columbia include the Fort Steele Heritage Town, Canadian Museum of Rail Travel, Key City Theatre, Fisherville, St Eugene Mission, and the Cranbrook History Centre. Travel services important to travelers in and around the community of Cranbrook, BC includes accommodations (hotel, motel, inns, vacation homes, cottages, resorts, lodges, bed and breakfast, rental suites, hostels), tours, guides, campgrounds, pubs, restaurants, gas stations, gift stores, liquor stores, grocery stores, coffee shops, cell service, internet, banks and transportation services including taxi, bus and the Canadian Rockies International Airport. Explore Cranbrook, British Columbia, Canada Travel Guide for Accommodations, Attractions and Adventure. eh! Plan to Visit Cranbrook, BC, Canada today.